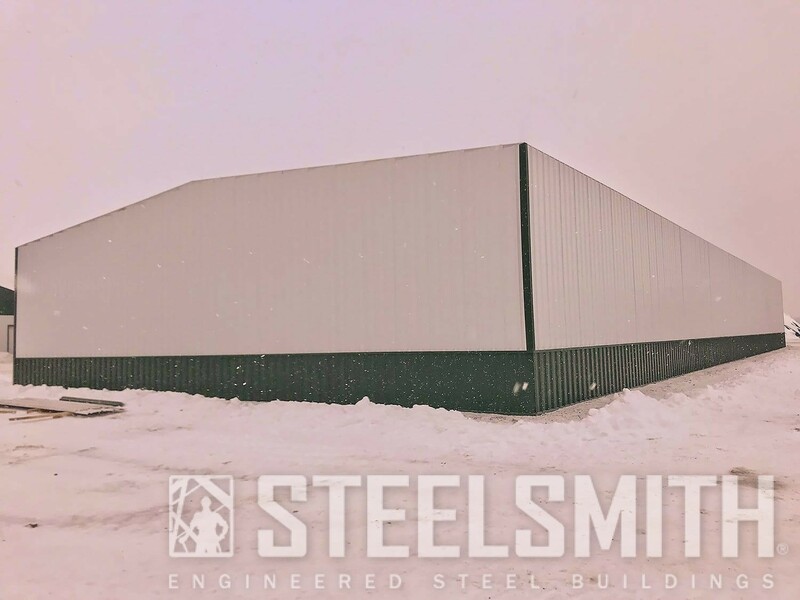 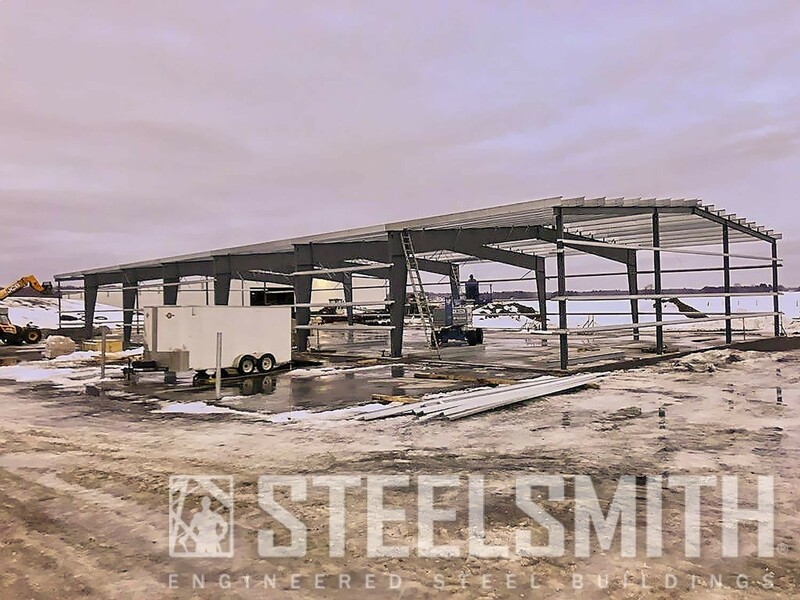 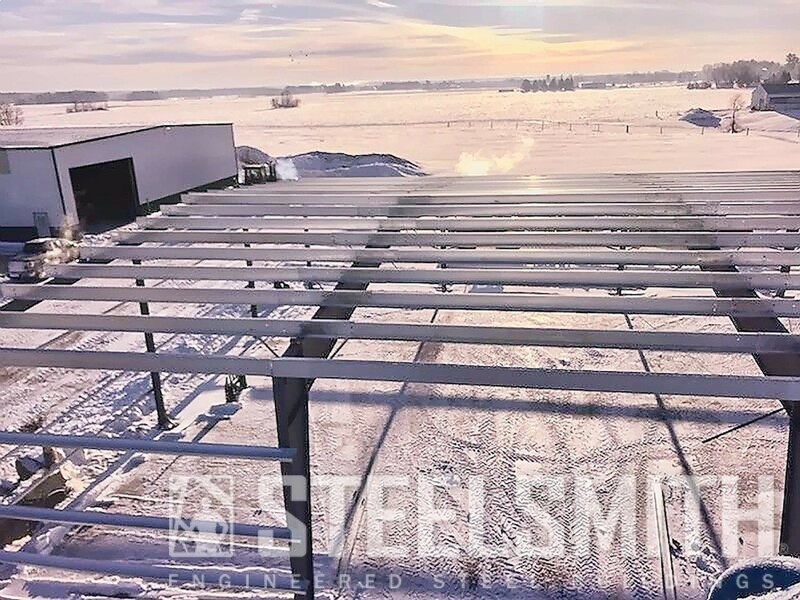 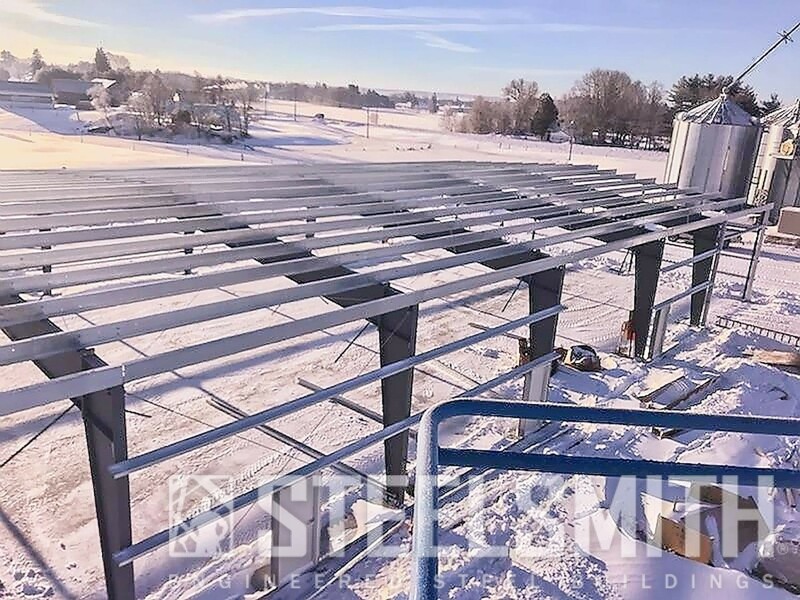 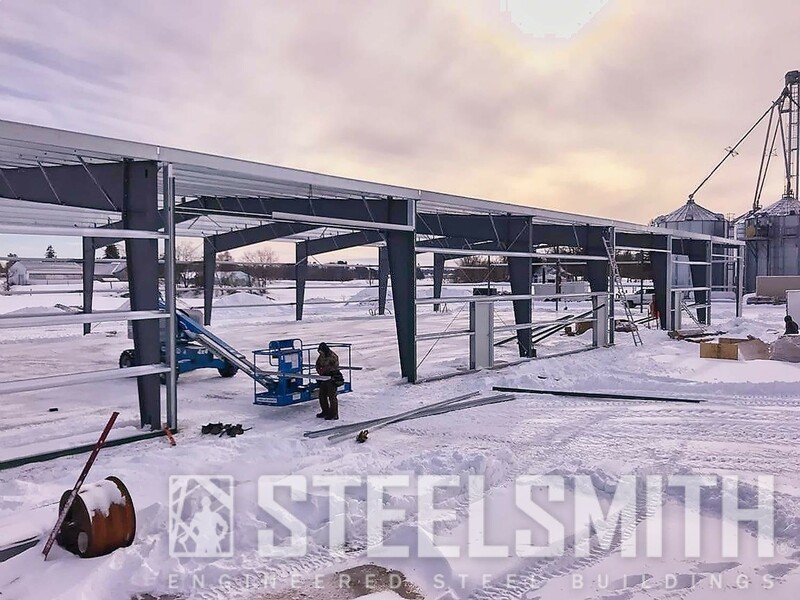 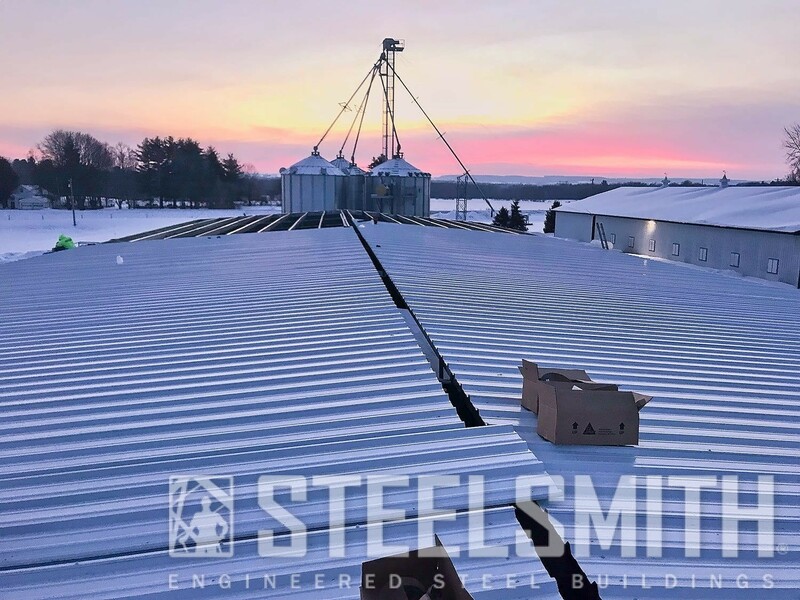 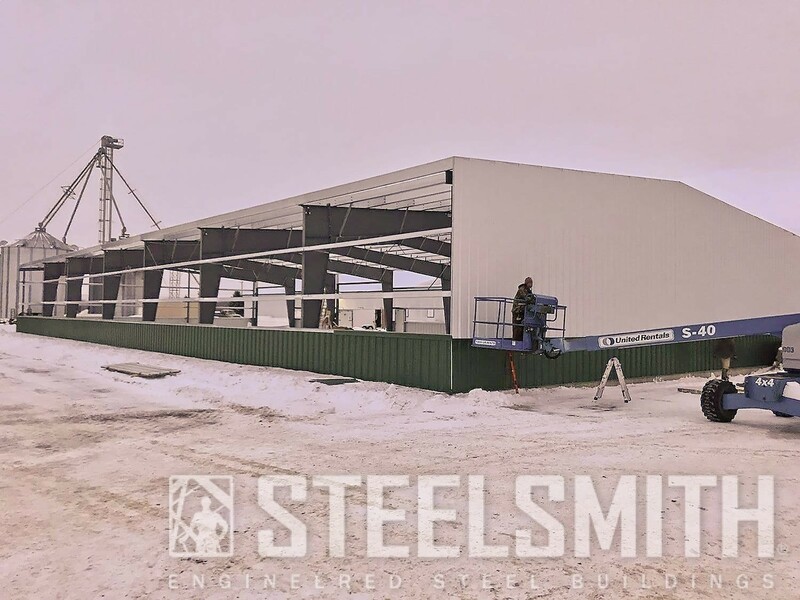 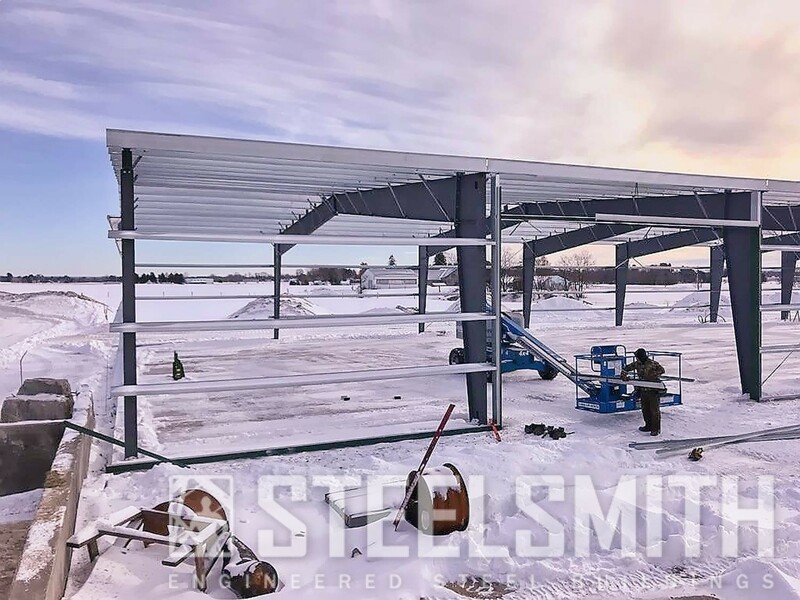 Steelsmith supplied and erected this steel building for Hancor Farms in early 2018. 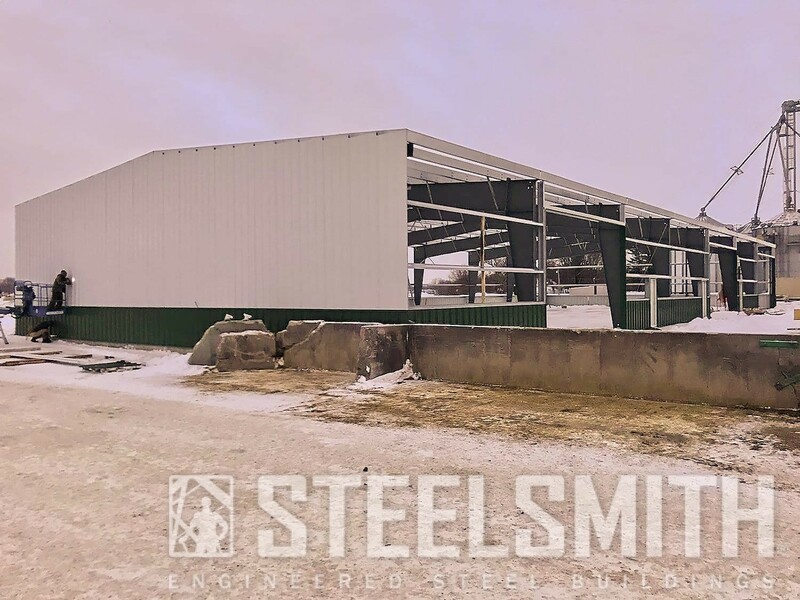 We worked closely with the owner of Hancor Farms to build the exact steel building to suit his needs. 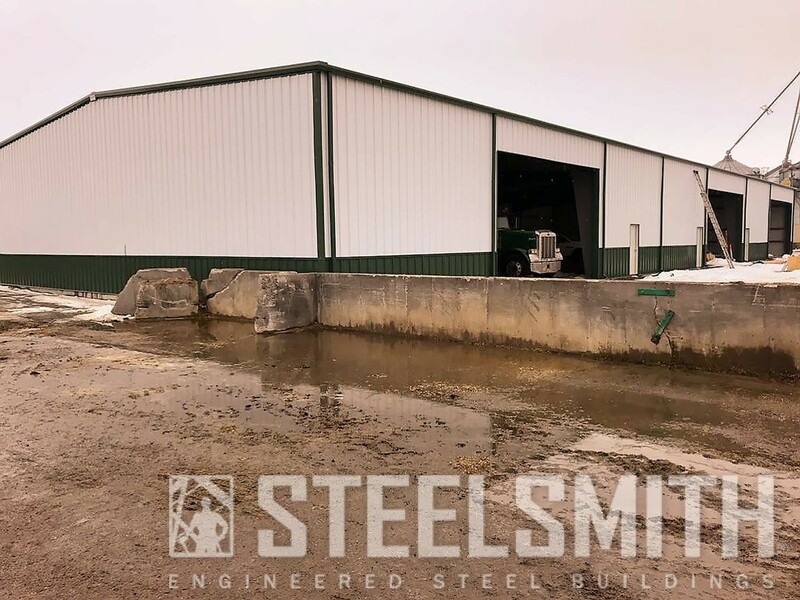 The building is used for a variety of purposes on the farm, including storage. 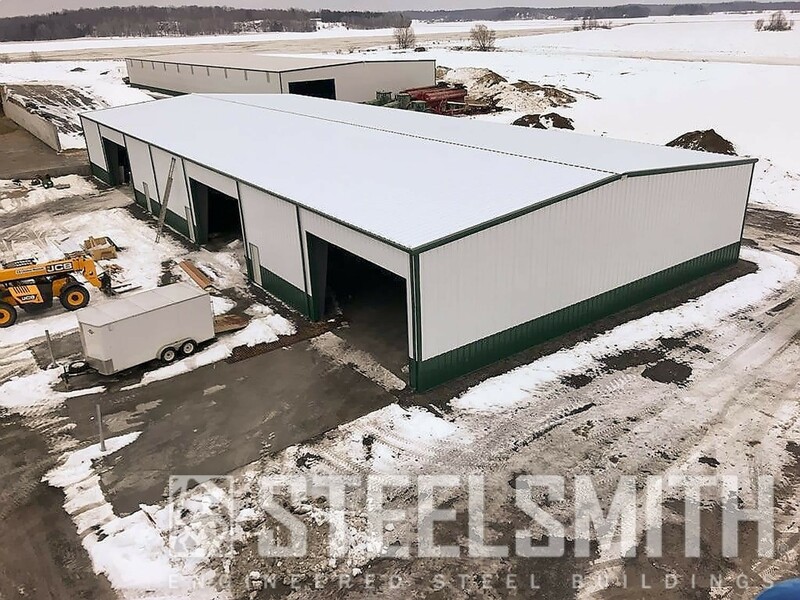 This steel building is a total of 11,760 square feet. 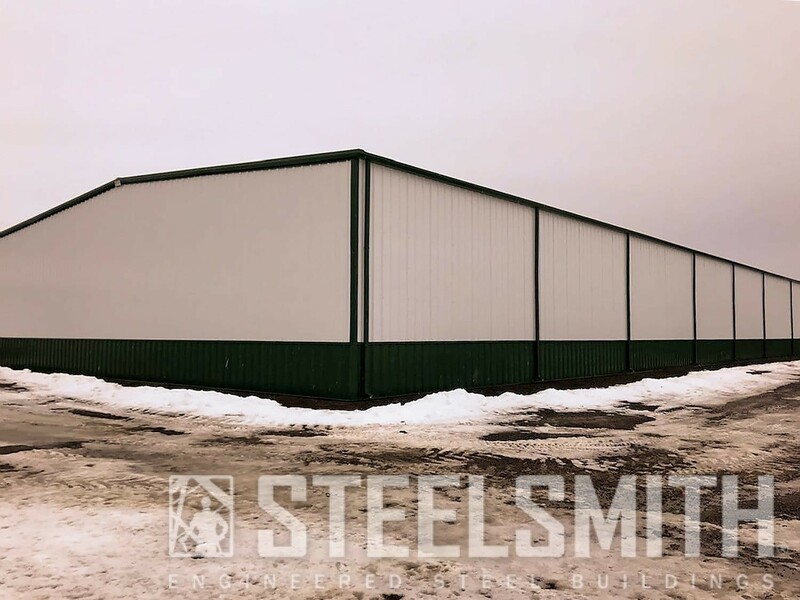 It has the following dimensions: 70’x168’x18’, with a 3/12 roof slope as well as a colored roof panel. 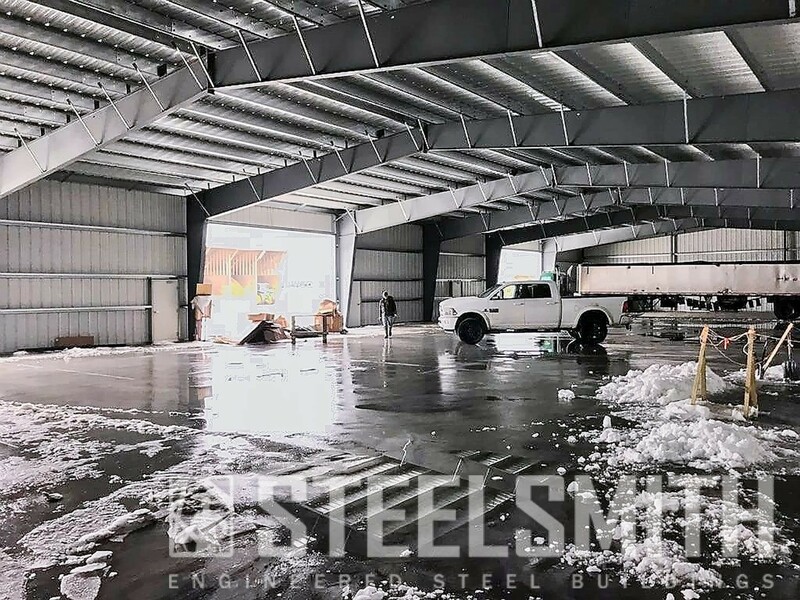 The clearspan interior of this building provides the client with uninterrupted use of the space since it has no interior beams. 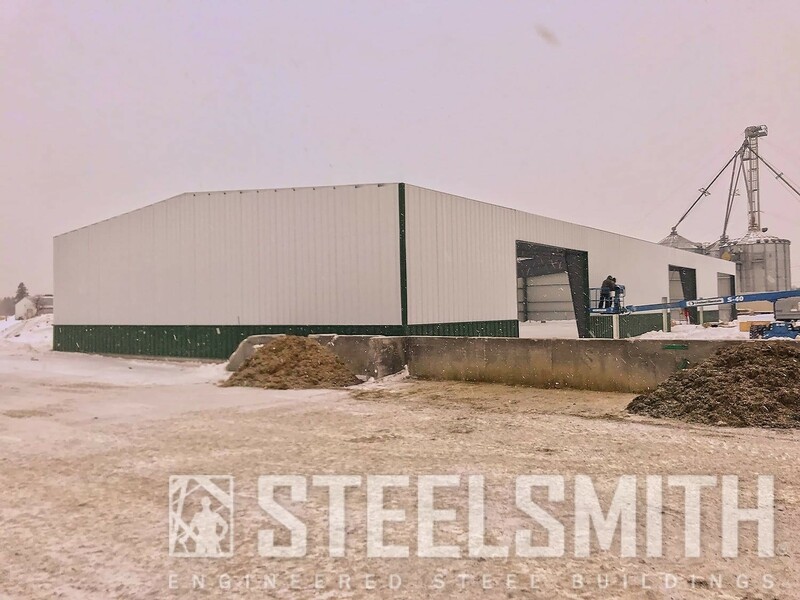 This enables the client to use the building most efficiently.